[Jesus said,] "A slave is not a permanent member of the family, but a son is part of the family forever. 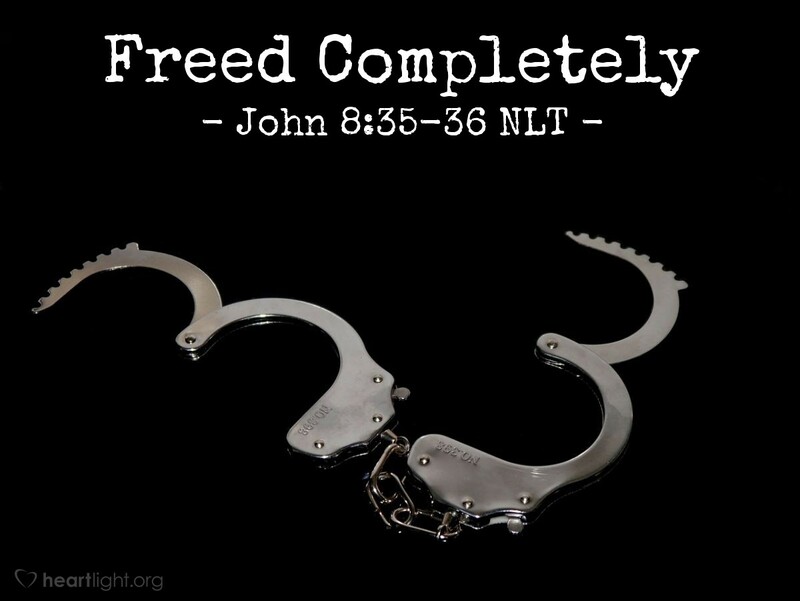 So if the Son sets you free, you are truly free." Salvation involves two great realities: 1) We are set free from our sins, and 2) we are adopted into God's family and become his children. Jesus is not only our Savior and Lord; he is also our older brother. God is not just the Almighty; he is also Abba Father. In Jesus, we are given our freedom to become all we are meant to be as God's children! Abba Father, I thank you and praise you for my freedom from my sin and the privilege of being a child in your family! I thank you, Jesus, for paying the price of my ransom to set me free and to purchase my adoption into your family. Amen.